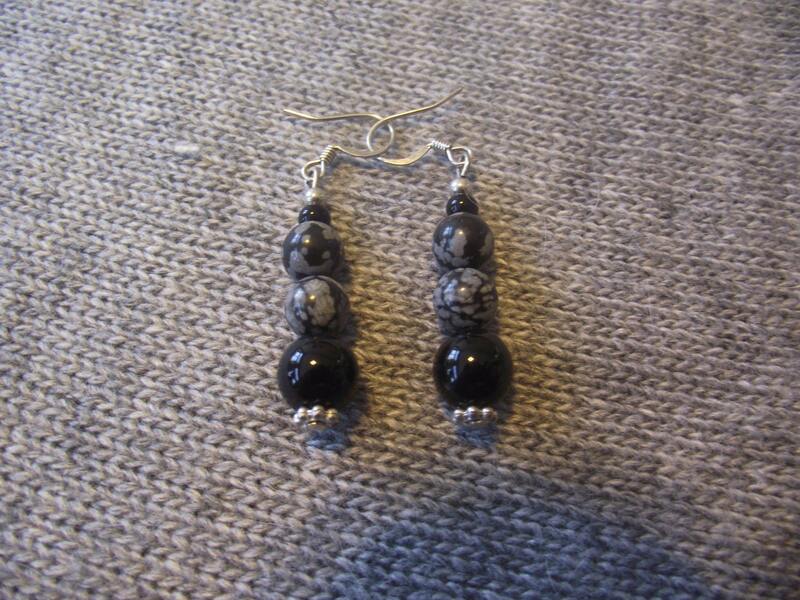 Black Agate and Sterling Silver Dangle earrings, they are about 1 1/2 inches long. So pretty and lovely ! 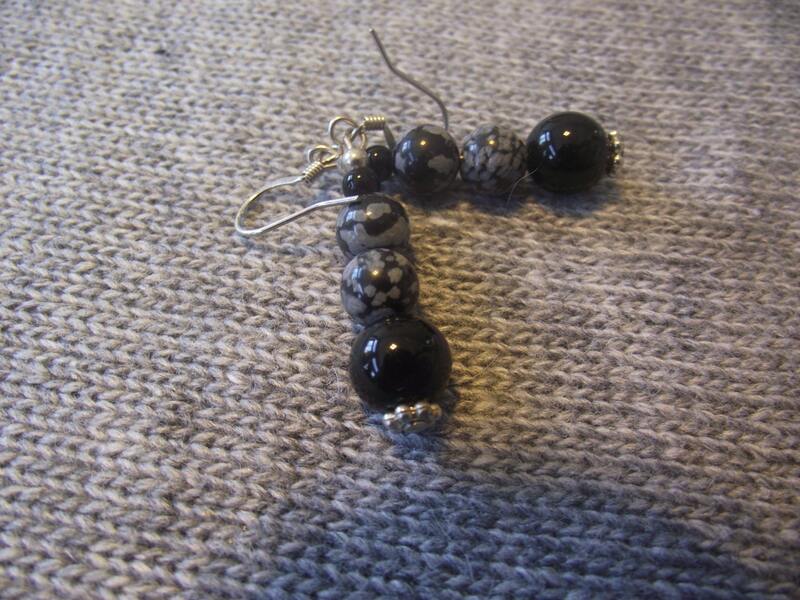 There are black and grey markings on the beads with silver details. Pierced.